The Presidio was not built at the location Anza chose, and – as things turned out — it did not defend the entrance to the port. On June 17,1776, José Joaquín Moraga led the colonists and soldiers — the people that Anza had taken as far as the Monterey Presidio on the land journey from Mexico — from Monterey to San Francisco. Moraga moved the campsite for the colonists and soldiers to the present location. The first structure — July 28, 1776 — had been a chapel made of tules. Rose Marie Beebe and Robert M. Senkewicz, in their book on Saint Junípero Serra summarized in a few pages of their book the history of Spanish Presidios. “The concepts of ‘presidio’ and ‘mission’ had deep roots in the centuries-long expansion of Spanish rule in the Americas. The word ‘presidio,” meaning a garrison or a fortified establishment, entered the Spanish language from Latin in the sixteenth century, and it referred to Spain’s forts in Morocco. Both the word and the institution it described were quickly put to use in northern New Spain…. The San Francisco Presidio was constructed and maintained according to the tradition developed in the sixteenth century. That tradition proved obsolete in the late eighteenth century — given San Francisco’s natural environment, Spain’s scant legitimacy in claiming Alta California, and the slight support provided the Presidio from Mexico and from the mission. 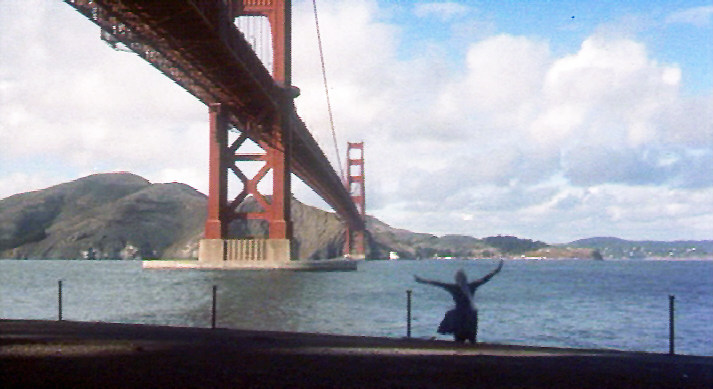 The original San Francisco Presidio buildings no longer exist. The buildings in the Royal Presidio of Santa Barbara (1782) have been restored. A Santa Barbara city street divides the restored structures, which are at a distance from the ocean. El Cuartel (barracks) is the second oldest surviving building in California. The other original building is the José María Cañedo Adobe (1788), named after the presidio soldier to whom it was deeded after the presidio became inactive during the Mexican era. Chumash people working under the supervision of Spanish soldiers erected the Santa Barbara presidio buildings of dried adobe bricks laid upon foundation of sandstone boulders. Timbers from the nearby forests supported tile roofs. My impression of the Santa Barbara Presidio on my visit was underwhelming. The spaces are small and dark even in full daylight. It seems medieval, not structures built during the Age of Enlightenment. A difficulty in building the San Francisco Presidio’s permanent structures was that the primary material used was adobe. Adobe bricks are made of earth with a high clay content, animal manure, sand and straw. The earth mix is cast in open moulds onto the ground and then left to dry out. Adobe bricks are sun-dried, not kiln-fired. It takes almost a year for the bricks to dry out sufficiently. The bricks were cemented together with either more sticky mud or lime mortar. Lime mortar was made from limestone and seashells, heated in a very hot kiln until they became soft. Because the bricks dissolved in rain, roofs were extended out. The first Presidio roofs were made of thatch. In 2010, Presidio Trust archaeologists excavating a site at El Polin Spring found a kiln that would have been used to fire clay tiles. Until this discovery, “conventional wisdom” held the tiles had been fired at Mission Dolores. The location of the Presidio on the cold, windy, wet peninsula meant adobe construction was difficult, and it could not endure storms. William M. Mason, in The Census of 1790: A Demographic History of Colonial California, examined the presidial census rolls of 1775, 1790, and the mission registers of 1790, and three civilian settlements. Mason emphasized the frontier soldiers and settlers were predominantly non-European, and most were from New Spain – Mesoamerica. adobes and wattle and daub. Even the religious and monumental architecture was using adobes and earth material: the pyramids of Teotihuacan were built by the Maya with adobe: compacted earth and covered with volcanic stones. Nearly nothing remains from the rural and urban earthen architecture that were built long ago by these civilizations, except at Paquimé in the northern state of Chihuahua. In 1519, Spain invaded the native civilizations of what now is known as Mexico. The Spanish conquistadors adopted the traditional way of building the adobes, to fashion a typical Spanish Colonial architecture: rural, urban and religious. All of California’s missions and its four Presidios were made of adobe. In the pueblo of Los Angeles, the church, Our Lady Queen of Angels Church, commonly called “La Placita” – first planned in 1811, the site changed to the present location in 1818, probably to a location opposite or possibly on top of what had been the native village of Yang-Na’s yovaar, or spiritual circle – was not completed until 1822, when the young pirate and ship-builder American-born Joseph Chapman conscripted Indian laborers to go into the San Gabriel Mountains and haul out wood to complete the roof beams. All of Los Angeles’s homes during the Spanish era were built of adobe. 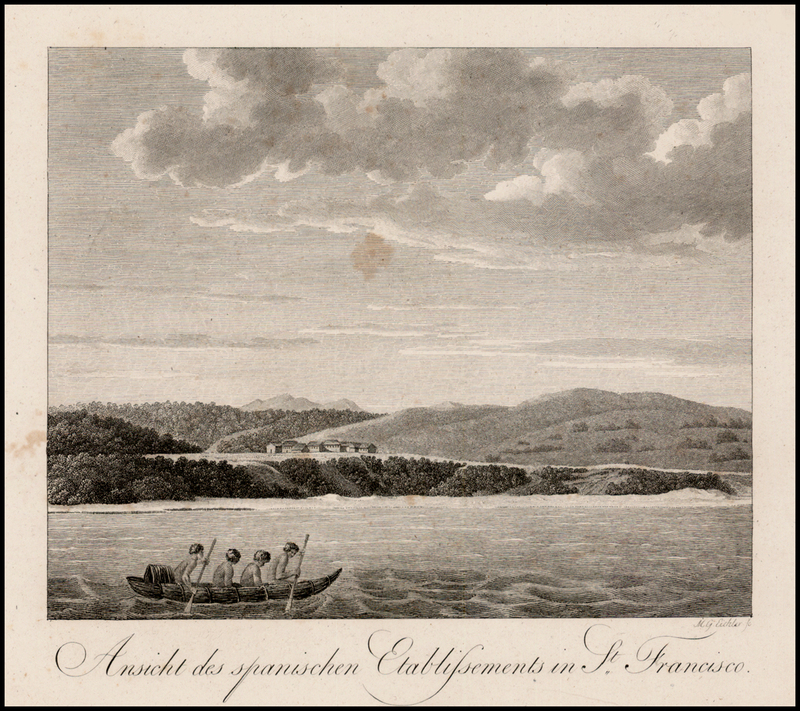 José Cañizares – pilot of the San Carlos, which arrived in August 1776 with the colonists’ possessions — planned the San Francisco Presidio. This plan called for an enclosure two hundred and 53 feet, square. Inside this, and built of palisades and tules, were to be the chapel, officers’ quarters, warehouses, guardhouse and barracks for the soldiers and the colonists. 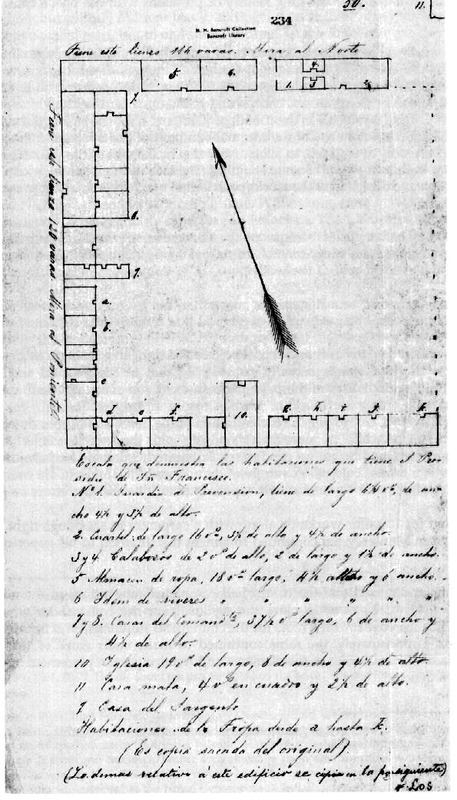 From the text in Spanish at the bottom of this 1792 drawing of the Presidio, it is likely a copy of the original. Alferez Hermenegildo Sal made the original. As of 1792, the Presidio was still open on one side, and there was no wall around it. The Officers’ Club in the Main Post of the San Francisco Presidio was originally built as an adobe structure later in 1776, probably destroyed in a devastating storm in 1779. It was rebuilt and this reconstructed building was damaged during a series of earthquakes in the summer of 1808. The walking distance today from Anza’s proposed site at what is today’s Fort Point to the Officer’s Club is 1.6 miles. The road shown in the Langsdorff sketch below is probably the predecessor road to today’s Arguello Boulevard. Arguello Boulevard today ends in Golden Gate Park. At the time of the drawing below, the road may have led to Misión San Francisco de Asís (Mission Dolores), current address 3321 16th St, San Francisco, 3.7 miles in a southwesterly direction from the Officer’s Club – about an hour’s ride on a horse: just about one Spanish league. George Heinrich von Langsdorff passed through San Francisco in about 1806. An unknown artist made the original drawing for the etching in Langsdorff’s book (the drawing is shown above). The Spanish settlement at the San Francisco site had been there almost thirty years when the unknown artist drew the Presidio. If you look closely at the brush at the edge of the water in the engraving in Langsdorff’s book, you see the grooves in the mud between brushes that was created by the native boats evidently dragged at the same place over and over. Louis Choris (1795-1828) was a young Ukrainian artist chosen as the official painter of the scientific expedition led by Russian explorer Otto von Kotzebue in 1815. The ship that carried them was the Rurik. Voyage Pittoresque, published in 1822, was primarily composed of a number of lithographs based on Choris’s original watercolor paintings, the book published by Firmin Didot. Choris brought out a number his paintings as lithographs in 1826, which he sold to private collectors. 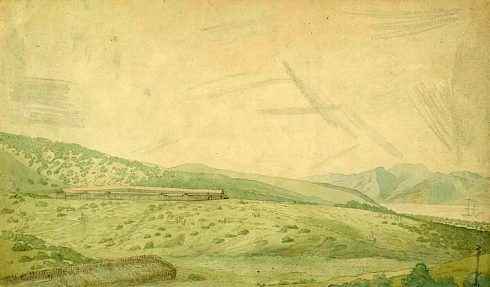 Below is Choris’s watercolor of the Presidio, seen from a different viewpoint from that of the unknown artist’s in the Langsdorff drawing. In the foreground of Choris’s painting is a fenced area, which looks like the Presidio’s farming area. The fencing was likely erected to keep horses, cows, and maybe bears and rabbits. 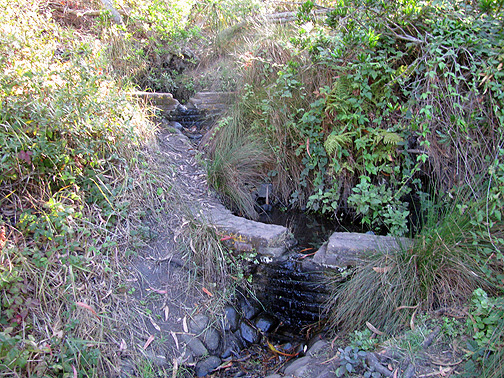 The thin soil made the land inhospitable to agriculture, although the Spanish grew imported food crops and grazed cattle, which destroyed the Presidio’s native perennial bunchgrasses and caused soil erosion; moreover, livestock brought invasive plant species, which were carried on the animals or were imported with livestock feed. Adelbert von Chamisso (1781-1838), a German poet and botanist, was the resident naturalist or “titular scholar” on board the Rurik. He was born Louis-Charles-Adelaide de Chamisso in the ancestral castle of Boncourt in Champagne, a son of a noble French family that fled to Germany in 1792 to escape the guillotine. When the Rurik anchored near the Presidio, Chamisso found the military depended on supplies from Acapulco and was spread so thin over California that they were virtually powerless, unable to displace the Russians from their trading post at Fort Ross. Chamisso found a dry, dead field, which in spring “the way Langsdorff saw it, should resemble a flower garden….. In a swamp in the vicinity of our tents a water plant is said to have been green, and Eschscholtz asked me about its pedigree…” On the naked plain they found one oak. “The water of the harbor of San Francisco was highly phosphorescent from very fine particles of light, and even the surf on the beach of the coast outside of the bay unrolled with a perceptible shimmer. I examined the water under a microscope and observed in it shall amounts of exceptionally small infusoria, to which I cannot ascribe the luminescence. Kotzebue published a three-volume account of the expedition, including reports from Chamisso and Eschscholtz. Eschscholtz’s botanical collections from California were the first scientific description of California’s flora and the first reference in the title of a scientific paper. Chamisso named the California poppy (Eschscholzia californica) in his honor. On September 14, 1792 Captain George Vancouver arrived at what was later called Yerba Buena Cove. His writing shows a wall on three sides of the Presidio, and that timbers were used in the wall. Alfarez Sal received support to strengthen the Presidial area. He organized construction of 10-foot thick embrasures on the seaward fortification at the site Anza had originally selected faced with kiln bricks and mortar. Behind this wall was an esplanade made of heavy timbers on which heavy guns rested. Mariano G. Vallejo provided an 1820 drawing of the San Francisco Presidio. This drawing showed a wall. The dark circle on the road depicted a water hole and a squiggly line suggesting a creek. The water hole was El Polin Spring and the creek El Polin Spring. The location of the Presidio as built was closer to the waterhole depicted in the Vallejo tracing than Anza’s proposed site. Moraga’s decision to change the location may have been that a garden needed water and that a walk of about two miles for domestic water would have been excessive. In 1835, Vallejo moved the San Francisco garrison to Sonoma after severe storm damage destroyed much of the Presidio. Also in 1835, Englishman William Richardson built the first homestead in the area around what is today Portsmouth Square. Together with Alcalde Francisco de Haro, he laid out a street plan for a settlement called Yerba Buena, named after the sweet-smelling plant that Father Font had mentioned in his diary in 1776. In June 1846, thirty-three American immigrants that had entered California without official permission rebelled against the Mexican government in what was called the Bear Flag Revolt and raised the Bear Flag, a flag painted with an image of a California grizzly bear. On July 9, 1846 U.S. Navy Lieutenant Joseph Revere raised the United States flag in front of the Sonoma barracks. The San Francisco Presidio was never rebuilt..
On July 9, 1846, the USS Portsmouth sailed into San Francisco Bay. The small Mexican force garrisoning the Presidio did not fire on the USS Portsmouth. Commander John B. Montgomery, his staff, and a group of soldiers, sailors and marines, disembarked. The Californios grouped together to watch the American force. Montgomery and his force walked up to the flagpole in the town square (now Portsmouth Square) and raised the Stars and Stripes. In 1847, the village of Yerba Buena was re-named San Francisco. 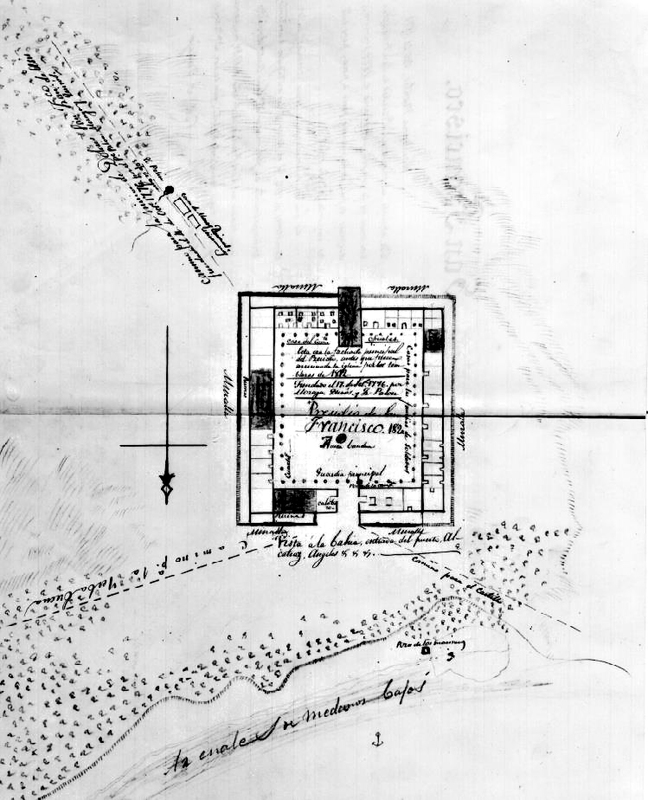 The 1st New York Regiment occupied the crumbling adobes at the Presidio. The U.S. Army took over the post the following year. The San Francisco Presidio had been a mere symbol of military strength under the Spanish and Mexican governments. The weakness of the Spanish and then the Mexican military was an invitation to Americans to invade it. Foreigners moved to California during the Mexican era (1822-1847). The first men from the United States became Mexican citizens. Most of them – like Richardson — married women from Californio families. If there had been no Spanish settlement – and later, Mexican after Mexico’s independence from Spain in 1822 – then those men would not have come to California. 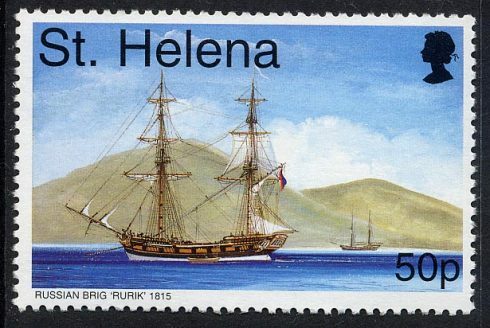 There were a few mountain men hunters among them, one pirate, but by and large the arrivals from Europe and from the United States were merchants and other men interested in making money. John Marsh traveled to Los Angeles in 1834. He was the only person with knowledge of western medicine in Los Angeles. He received payments for his services as a doctor in hides and tallow. After a year, he had enough money to purchase property called Rancho Los Meganos on the western edge of today’s Brentwood (the Contra Costa County Brentwood), and it included today’s Antioch, Knightsen and Oakley — then a wild part of California — in 1836, from Jose Noriega. Noriega received the land grant from Governor Castro in 1835. That Marsh was able to purchase land means he became a Mexican citizen by that time. He did not, however, marry a Californio woman, although he lived with two Indian women until his marriage to an American, Abbie Tuck in 1851. Before his marriage, Marsh wrote a series of letters inviting Americans to settle in California, and a number did cross the Sierras, although Marsh was to be known as a difficult host. Johann August Suter — later John Augustus Sutter — became a Mexican citizen and became qualified to own land. He established Sutter’s Fort — in today’s Sacramento — beginning in 1839. Sutter also hosted American immigrant families after their arduous climb over the Sierra Mountains. Supplies from Sutter’s Fort helped some members of the Donner party – snowbound during the winter of 1846-1847 – to survive. On January 24, 1848, James W. Marshall discovered gold during the construction of a sawmill at Sutter’s Creek, near Coloma. The Treaty of Guadalupe Hidalgo, which settled the Mexican-American War, was signed on February 2, 1848. Merchant Sam Brannan owned a general store within Sutter’s Fort. Brannan and widely publicized Marshall’s discovery. He then sold his goods to the flood of men that came in search of gold. Within several years, Brannan’s meteoric commercial success made him California’s first millionaire. .
Spain’s slender efforts to colonize California were an invitation to foreign invasion. Without those Herculean efforts, without the 79 years of Spanish, and then Mexican-era occupation, Johann Sutter would not have built the fort in Sacramento. José Antonio de la Guerra y Noriega would not have been a cadet at the Presidio of San Diego because there would not have been a Presidio of San Diego, nor would he have become Commandant at Santa Barbara, because there would not have been a Santa Barbara. John Marsh would not have been a doctor in Los Angeles – there would have been no Los Angeles — or purchased Los Medanos. There would have been no American settlers to raise the Bear Flag at Sonoma. The United States depended on western movement to the Pacific Ocean to realize its “Manifest Destiny.” Its manifest destiny depended on its military. The ideal of a United States as a democratic country based on individual possession of land rested on western movement. As Frederick Jackson Turner – Herbert Eugene Bolton’s mentor — argued in 1893, every generation moved further inland, shifting the lines of settlement and wilderness. Without western movement – a movement Turner saw as natural evolution, but that was actually the usurpation of indigenous people and the consumption of the natural environment – the United States would have been locked earlier than it was in the hierarchy of wealth its people inhabit. If we can imagine away Spain’s colonization of California — the United States armed forces would have encountered at least 300,000 Indians. Eventually, the military would have prevailed against people without guns or swords and may have killed more of them then they did. Eventually, Americans would have gotten over the Sierra Nevada Mountains or through the Isthmus of Panama or the desert, and eventually someone would have discovered gold. Herbert Eugene Bolton, Anza’s California Expeditions, Volume III, “The San Francisco Colony “(University of California Press, Berkeley, California 1930). Page 127. Edward F. O’Day, “The Founding of San Francisco,” The Virtual Museum of the City of San Francisco. https://web.archive.org/web/20100727190828/http://www.sfmuseum.org/hist6/founding.html. (Retrieved 10/21/2018) Tule is a large bulrush found in marshy areas. Rose Marie Beebe and Robert M. Senkewicz, Junípero Serra: California, Indians, and the Transformation of a Missionary (University of Oklahoma Press, Norman, published in cooperation with The Academy of Franciscan History, Oceanside, 2015), pages 211-215. Id, pages 211 to 212. Father Font, Bolton, op cit,, commented there were “cedars” – perhaps redwoods – in what is today Cupertino that could be used for building the Presidio. El Polin Creek Watershed is also called Tennessee Hollow. The etching and the watercolor, however, do not show an enclosure. In the 1870s, historian H. H. Bancroft sent researchers to the Provincial Archives, kept in the U.S. Surveyor’s office. Cuban-born Thomas Savage coordinated the significant organization of materials, many of which were copied by hand. All of the original texts, plans and drawings were destroyed in the 1906 earthquake and fire. Fortunately, Bancroft sold his library to U.C. Berkeley in 1905. Bancroft Library, BANC MSS C-A 6, page 234. Langsdorff’s Narrative of The Rezanov Voyage to Nueva California was first published in 1812. Notes on file at the Bancroft Library, UC Berkeley, indicate Langsdorff collected drawings during the 1806-1807 voyage. Louis Choris, Voyage Pittoresque autor du Monde, (Firmen Didot 1822). Translator and editor Henry Kratz, A Voyage Around the world with the Romanzov Exploring Expedition in the Years 1815-188 in the Brig Rurik, Captain Otto von Kotzebue, by Adelbert von Chamisso (University of Hawaii Press, Honolulu, 1986. 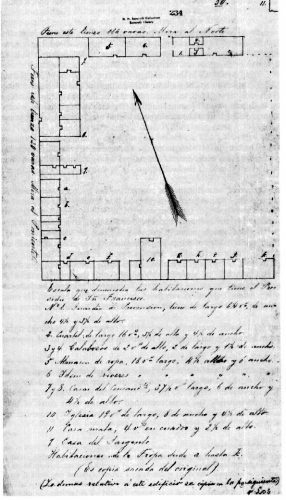 Introduction, page xiii. Id, page xviii, citing Warren A. Beck and David A. Williams, California: A History of the Golden State, pages 30-65. Johann Friedrich von Eschscholtz (1793-1831). a Baltic German physician, naturalist and entomologist. He made significant collections of flora and fauna in Alaska, California, and Hawaii. Geoffrey Coffey, “Whispers in the Water,” Bay Nature, April 1, 2007. This definition makes little sense to me. K Maldetto, “William Richardson and Yerba Buena Origins,” Found San Francisco, http://www.foundsf.org/index.php?title=WILLIAM_RICHARDSON_AND_YERBA_BUENA_ORIGINS. (Retrieved 11/5/2018) Richardson’s skill as a carpenter is one of the reasons he was permitted Mexican citizenship. He also married into a Mexican family and converted to Catholicism. Nonetheless, he also used adobe. The 1846 Bear Flag was the precursor to the State of California’s present flag, which shows a grizzly bear. The red star represents sovereignty. 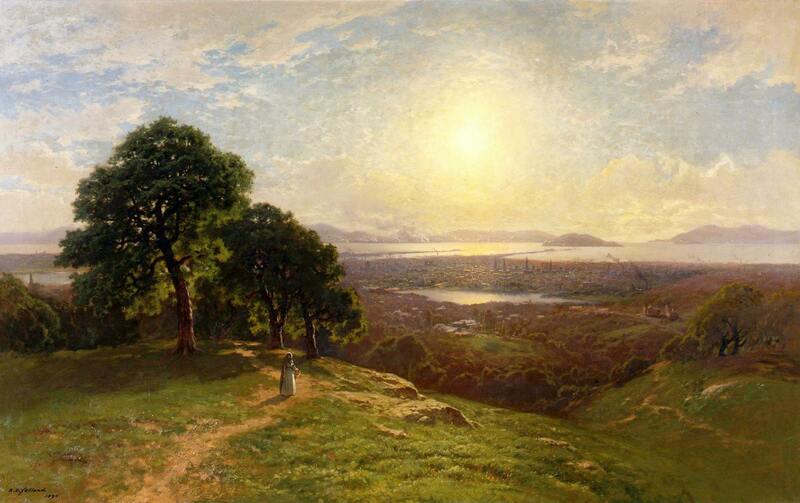 “Meganos” refers to the very large sand dunes once on the Carquinez Strait. Americans excavated them but remnants exist.